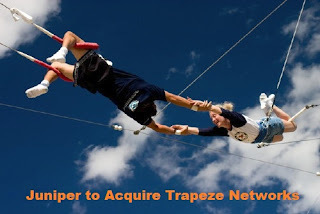 Today, Juniper Networks announced a definitive agreement to acquire Trapeze Networks, a technology leader in enterprise wireless local area network (WLAN) systems and management software. Read more here. It's been a while, and I wasn't able to access my blogs statistics service, SiteMeter. Every time I go there, I receive the weirdest error message ever, "GIF Image 1x1 Pixels". I go the feeling that they quit business, or something. Today, I was accessing the following link on Global Voices Online, and guess what, I got the same error message again. I went googling, and it came out that both SiteMeter and GVO are innocent, it's Kaspersky that is messing out the web pages there. So, in case you have Kaspersky Antivirus installed, go to the Anti-Spy settings, and either uncheck the "Enable Anti-Banner" altogether, or go to the Anti-Banner settings and add the sites you have problems with to the white-list there. Virtual Servers are cool, everybody is going virtual now. But we (Networking guys) hate them sometimes. The vSwitches inside the Virtual Servers are now responsible for moving the packets between the different Virtual Machines in there, hence the packets never touch the wire, and the physical switches and security devices become more and more blind and can never QoS or secure that traffic. On a bridge, if the port it needs to send a frame on is the same it came in on, normally a switch will drop that packet, but VEPA enables a hairpin mode to allow the frame to be forwarded out the port it came in on. It allows it to turn around and go back. Also another extension (IEEE802.1Qbh) was required to allow remote switches and security devices - instead of just those adjacent ones - to handle such traffic and perform whatever switching, QoS, or policy inspection tasks on it. The below presentation is really good in describing the VEPA pre-standard.